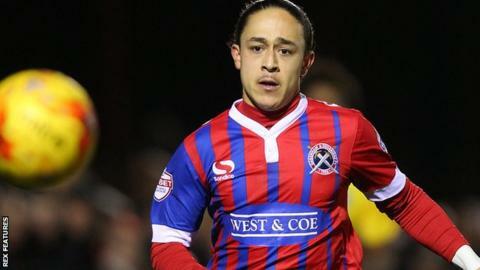 Coventry City have signed Dagenham and Redbridge's Jodi Jones on an emergency loan deal for the rest of season. A permanent deal for the 18-year-old midfielder, who made his Football League debut at the age of 17, has been agreed in principle for the summer. Jones has made 40 appearances for the Daggers, scoring four goals. "We're delighted to get this deal over the line," said Sky Blues manager Tony Mowbray. "I'm looking forward to working with Jodi."